SEATTLE, WASH. – Seattle Sounders FC today announced its latest youth agreement with Northwest United FC. Previously known as the Skagit Storm, Northwest United has been at the core of the Pacific Northwest soccer community for years and, in the past decade, has grown into one of the largest clubs within the Pacific Northwest. The club serves players from Skagit, Island, Snohomish and Whatcom Counties, with over 30 participating teams. The official partnership with Sounders FC allows Northwest United players and coaches unique opportunities such as education, an exclusive, integrated curriculum and technical support, ID camps and more, while Northwest United serves as a scouting base for Sounders FC Academy programs, identifying young, high-level talent north of Everett, Washington through to the Canadian border. 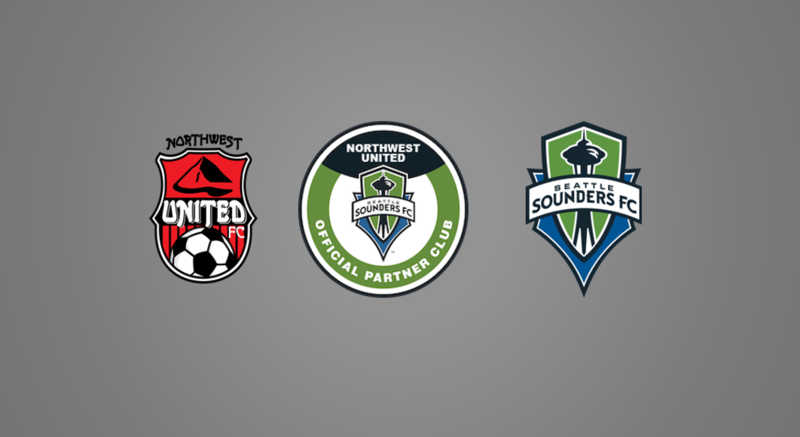 Going forward, all Northwest United teams will wear official Sounders FC partnership badges on training and competition kits. In addition, the Northwest United junior academy is being renamed the Northwest United Junior Sounders Program, and the U9/U10 teams will benefit from the use of Sounders curricula, training sessions, high level coaching and competition to prepare them for opportunities to be identified for the Sounders Discovery Program. Going forward, Northwest United FC will be releasing information in the upcoming weeks with what opportunities and events we will have with the Seattle Sounders FC. Everyone in the club is delighted and proud to have our club identified as a partner to help develop our youth players and community.